The question the world is asking is should scientists be allowed to play God? US researchers have recreated the blueprint of life—an achievement of such dimensions that it has been hailed as a landmark victory. 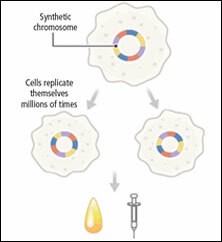 They replicated bacteriual DNA with bottles of chemicals and inserted it back into the cell from which the genes were removed. Hard work bore fruit as the bacterium responded to the human-made DNA and replicated. But this is where pragmatists see the broader picture: how synthetic life would behave in the environment is unknown; bioterrorists may use them to cause mayhem. Others say the achievement deserved such attention only if the cell itself was built from scratch. The creators, on their part, say they can be used to produce medicines, fuels and absorb greenhouse gases. Termites have helped shape the Kenyan savannahs. Animals that are a more conspicuous part of the food chain like lions and elephants abound in these tall grasslands and yet they are not the ones making headlines here. Researchers found a curious relationship between termite mounds and the richness of plant and animal life. A satellite image showed several such mounds in the grasslands and around each mound with its millions of termites there was a burst of plant activity. Even animals from tiny insects to ferocious cheetahs show decreased reproduction rates far away from the mounds. The image also showed that the burst of floral life with a central mound for each was very evenly spaced out like the squares of a checkerboard. This outlined the ecological ties between the termite mounds and plant and animal life in those grasslands. Synthetic fertilizer used in agriculture is one of the largest sources of nitrogen that pollutes the environment including waterbodies where it produces the relentless dead zones. Growing legume cover crops in the grain crop fields can reduce reliance on synthetic fertilizers but not all the nitrogen they add to soils is used by the plants. A study proposes adding straw residue to the fields. The residues soak up the extra nitrogen in the soil and once the grain crops are harvested they can be sold contributing to the crop’s economic value. Why does the brain size between two humans differ? Researchers studied locusts for clues. 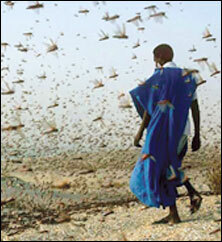 When solitary, locusts hunt for food individually and avoid company of fellow locusts. They have smaller brains with sharper perception for far and distant stimuli. Swarming desert locusts have bigger brains that process complex information faster. They move in masses, ravage fields for food and watch out so that they do not end up as food for other insects. It is the same desert locust that flits between the solitary and swarming phases in which it looks and behaves differently. This explains a lot about an animal’s lifestyle, behaviour and its brain. The daily handwash might be contaminating the environment. A polychlorinated phenolic compound called triclosan with antimicrobial properties was used in making soaps since 1987. This compound enters wastewater treatment plants and from there seeps into waterbodies. 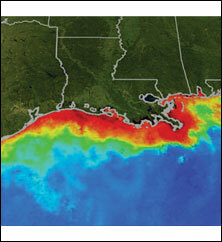 Chemists studied the dioxins present in the Mississippi river sediments for the past 50 years. Dioxins from triclosan constituted 30 per cent of the most current sediment mass. The compound is under review by the US Food and Drug Administration. Scientists have used the oldest method in the army book to deal with the anthrax bacteria: attacking directly at its shield, a protective capsule, to bring its defence down. An enzyme produced by the bacteria— capsule depolymerase— helps attach the protective capsule to the bacterial surface. It also cuts off little bits of the capsule that interfere in the body’s immune response. But getting the bacteria to produce excessive amount of the enzyme will lead to heavy fragmentation of the shield leaving the bacteria vulnerable to the host body. The method to look inside human bodies to diagnose ailments is now being applied to look inside worms. The CT scan provides means to see images of the inside of a body without cutting it up. 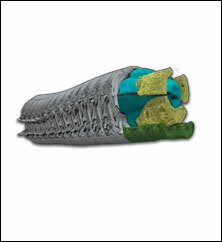 A micro-CT scanner was used to see three-dimensional images of a marine worm’s inside. Studying these worms is important to understand their physiology, evolution and the role they play in the in functioning of marine ecosystems. Of the 30-some compounds that lead five million smokers to their graves every year, some are good anti-corrosives. 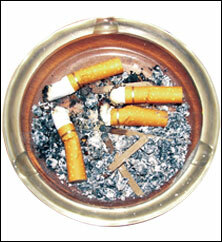 Scientists immersed cigarette butts in water, to extract their chemicals and applied them to steel used in oil pipes. The chemicals, including nicotine, protected the metal from rusting which costs companies millions of dollars annually. More than four trillion cigarette butts litter the planet each year. After humans who smoke the cigarette, it is marine life that is highly endangered by this trash that seeps into waterbodies, dissolves in the waters and kills fish. Testing for skin allergies involves placing an allergen under the person’s arm. If the spot turns red, it is a dead giveaway. For food allergies, there is a blood test but both tests have drawbacks— the presence of a particular allergen does not always mean the person has anaphylaxis. A study tends to do away with false positives. Scientists aimed at immune cells producing chemicals called cytokines in presence of allergens. White blood cells were isolated from a blood sample and exposed to an allergen. Using a technique called microengraving, the scientists measured the amount of cytokine secreted by each cell to confirm the presence of allergies. 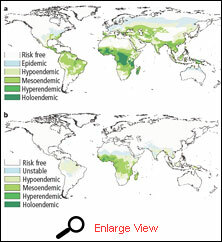 Rising temperatures were supposed to create a haven for disease-breeding insects like the Anopheles mosquito. 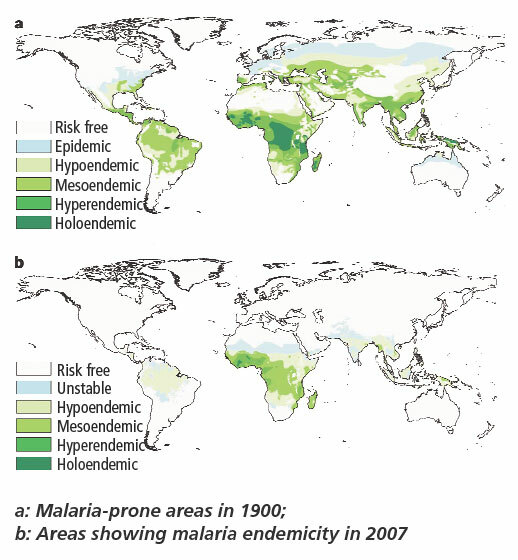 A study looks at the progress of the disease from 1900 to 2007 and finds malaria-control measures like insecticidetreated nets and drugs made progress and outweighed the hazards of warming in the past century.